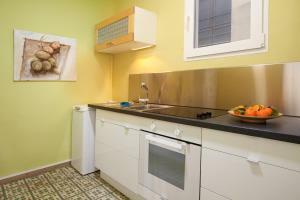 Centric Apartment El Molino is a self-catering accommodation in Barcelona. Cafeterias and tapas bars are 60 metres away. La Rambla and Plaça Catalunya are 2 km away. Sagrada Familia is 5 km away. Featuring free Wi-Fi, the air-conditioned apartment includes a balcony overlooking the city. The seating area has a sofa and flat-screen TV. The kitchen is equipped with an electric kettle, oven and microwave. The bathroom comes with a spa bath. Camp Nou Stadium is 5 km away. 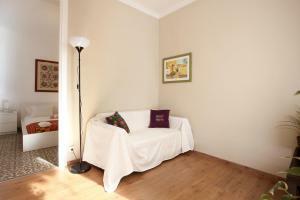 Barceloneta Beach and the port are 1.5 km from Centric Apartment El Molino. Barcelona El Prat Airport is 15 km away. Please note that this property is located in a residential area, so loud noises or parties are not allowed. Penalties will apply to guests breaking this rule. Please note that there is a € 20 charge for paying the security deposit in cash. Please note that there is extra charge for late check-in starting from 20:00 as follows: From 20:00 to 00:00 € 35; From 00:00 € 50. Please note that early check-in before 15:00 is subjected to availability and carries an extra charge of € 20. Please note that late check-out after 11:00 is available on prior request, subject to availability at the extra cost of 20 €.